So you have an appealing landing page with a clear call to action, but you aren’t getting as many conversions as you hoped. What gives? The likely answer is that your page is not attracting enough or the right traffic. Search engine optimization, or SEO, can help you increase the amount of targeted organic traffic for your landing page, and in turn, land more conversions. 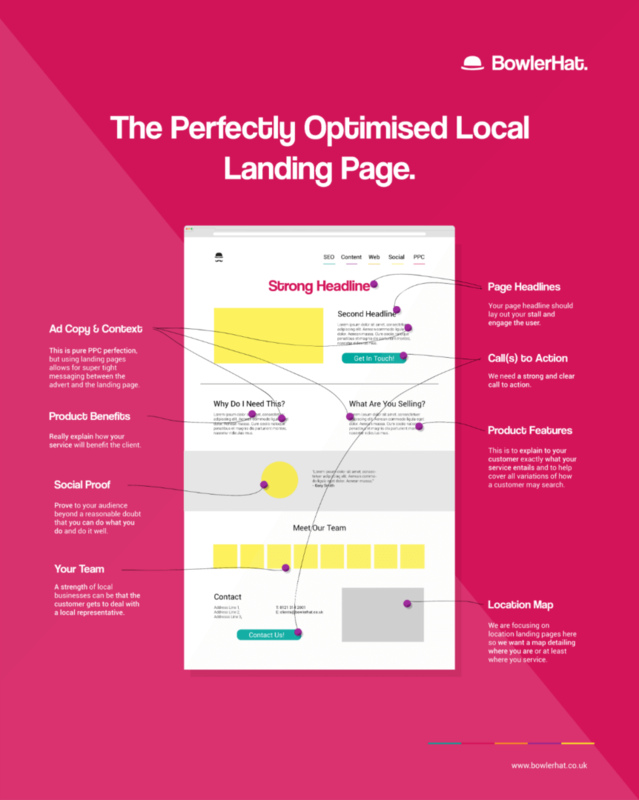 Below are five simple best practices to optimize your landing page for SEO. Use compelling, keyword-focused titles and headlines. When a user clicks on your landing page, you have about two seconds to capture their attention. The headline of your landing page should not exceed 12 words and should have an obvious connection to the user’s original search query to inspire additional engagement. A primary headline can often be complemented with a secondary headline that should deliver the clear and concise purpose of your landing page and value proposition. This is your chance to let the user know why they should take action. Emphasize product features and benefits. Do you have a solution for your audience? Ensure that your page clearly explains the features and benefits of your offering. What will your audience gain from participating? This section should include the majority of your strategic keywords and help cover all variations of how a potential user might search for similar content online. Your goal is to create a description that is more compelling than others on the search results page to earn more clicks. Include call(s) to action. The landing page should have a strong and simple call to action (CTA) that makes it obvious to users what they should do next. There should be no more than two highly visible CTA buttons and at least one should be located above the fold. This will help prevent the user from becoming distracted and failing to complete the intended action. Properly tag images. Including alt attributes with all images will increase your odds of appearing in a search. Since Google cannot physically “see” your images, it relies on your written description in alt tags, which is why it is important to include relevant keywords and phrases in images. Website plug-ins such as Yoast SEO make it easy to add these tags. Make content shareable. Social signals, such as a webpage’s collective shares, likes and overall social media visibility are growing in importance in search algorithms, so it’s important to include social media “share” buttons on both the main landing page and the “thank you” page. This encourages your visitors to spread the word to their networks. Bonus Tip: Increase visual clarity. Keeping your landing page clean and tidy with ample white space will help avoid distractions. If the layout is cluttered or too content-heavy, users are more likely to become sidetracked and fail to complete the intended goal of the landing page. Adjusting items such as line and paragraph spacing and image usage can contribute to the overall readability of the content. Do you have more tips for increasing landing page SEO? Let us know on Twitter @solomonmccown. Thank you for these tips. I’m going to create my landing page and I’ll be implement all of this points.